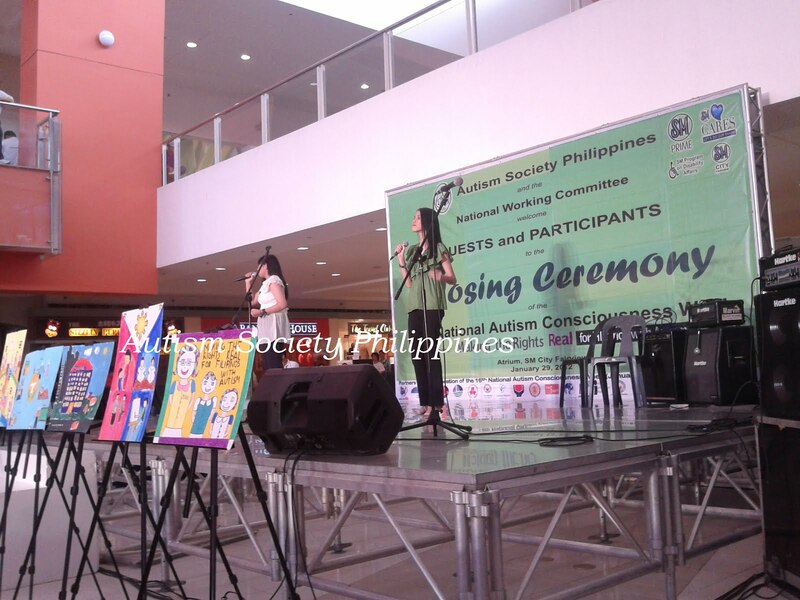 The Closing Ceremony of the celebration of the 16th National Autism Consciousness Week started with a Thanksgiving Mass at The Atrium, SM City Fairview. 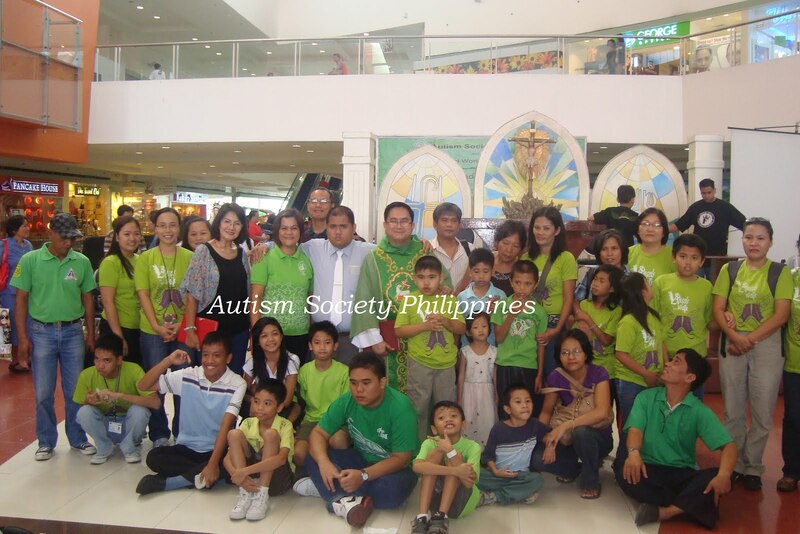 Families, friends and supporters of Autism Society Philippines came to join and celebrate the success of the week’s activities last January 29, 2012. The Family Day and closing ceremony followed right after the Thanksgiving Mass. 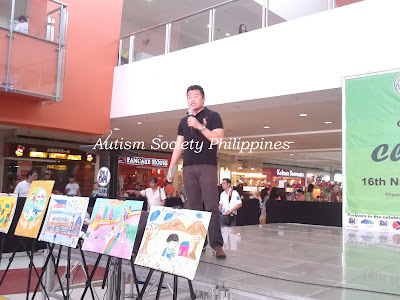 ASP Vice President Peng So, opened the ceremony and thanked all the supporters for the success of the 16th National Autism Consciousness Week celebration. Ms Jocelyn Lapid welcomed the participants in behalf of SM Program on Disability Affairs Director Engr. Bien Mateo while Cong. Irwin Tieng of Buhay Party List gave his angelic message. CWAs enjoyed the different booths like face painting and coloring by PVI Volunteers and sketching by PWA Gabby Atienza. Different games headed by Ate Alice Alagos of PVI Foundation also added enjoyment for the kids as well as their parents. 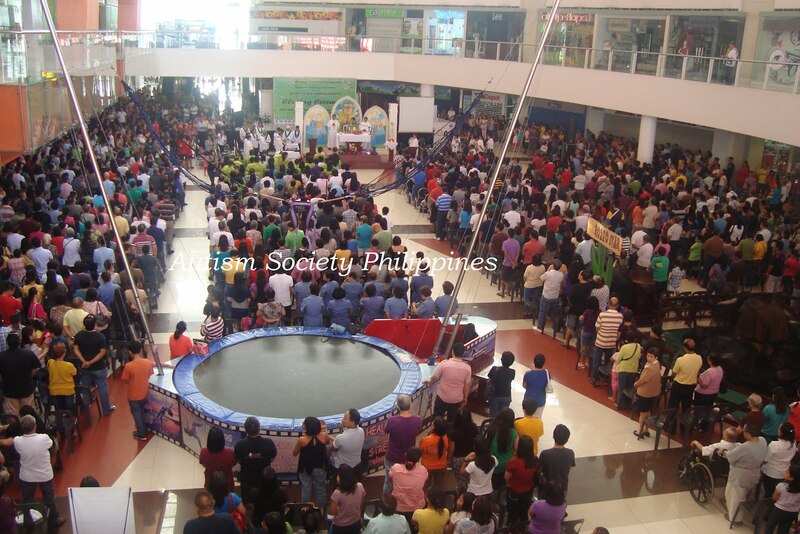 SM Story Land provided the children with loot bags and free tickets to avail free rides and bungee jumping. 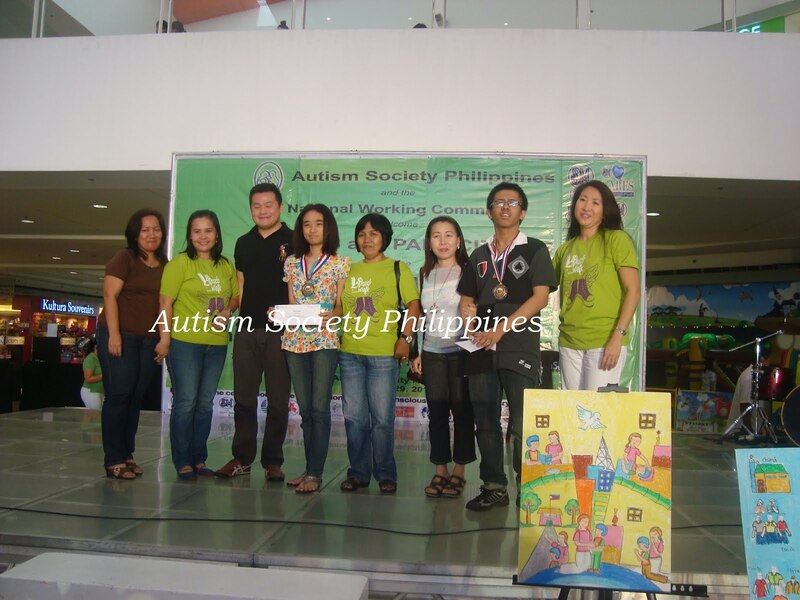 Awarding of Prizes for the winners of On-the Spot Painting Contest and Quiz “A” also took place during the event. Mr. Prime Bonife of DENR announced the winners of the Painting Contest while Ms Chit Singayan of DepED for the winners of the Quiz “A”. Cong. Irwin Tieng graced the awarding to give the cash prize and medals for the winners of the quiz. As chair of the 12th ACW celebration DSWD Representative Ms Joanna Hizon awarded certificates of appreciation to all the members of the committee. She was assisted by ASP Vice President Peng So. ASP Executive Director Ranil Sorongon gave the closing remarks and thanked all the sponsors and volunteers as well as Ms Hazel Borja, Ms Joanna Hizon and Ms Lei Asuque who acted as the Masters of Ceremony. 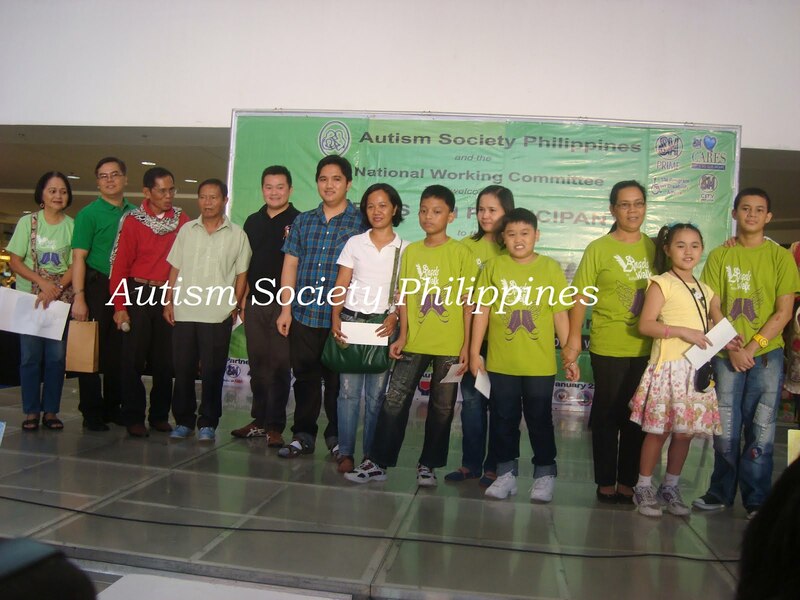 The 16th National Autism Consciousness Week celebration was made possible through ASP partners: Chair - Department of Social Welfare and Development (DSWD), Members-SM Programs on Disability Affairs, National Council on Disability Affairs (NCDA), Department of Interior and Local Government (DILG), Dept. of Environment and Natural Resources (DENR), Council for the Welfare of Children (CWC), House of Representatives - Committee on Social Services, Buhay Party List, Dept. of Transportation and Communication (DOTC), Katipunan ng May Kapansanan sa Pilipinas-National Capital Region (KAMPI-NCR), City of Mandaluyong, Center for Advocacy, Learning and Livelihood (CALL) Foundation, Philippine Information Agency (PIA), Department of Education (DepEd), Philippines Academy of Rehabilitation Medicine (PARM, NORFIL Foundation, Archdiocese of Manila Ministry for Persons with Disabilities (AMMPD), Autism Hearts Foundation, Dept. of Public Works and Highways and Liliane Foundation. Our sincerest thanks to our following sponsors: Dept. 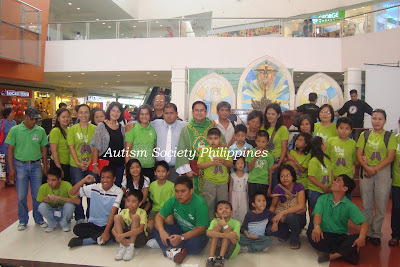 of Social Welfare and Development (DSWD), SM Programs on Disability Affairs, SM CARES, SM PRIME, SM MALL OF ASIA, SM FAIRVIEW, SM North EDSA, Dept. of Environment and Natural Resources (DENR), Council for the Welfare of Children (CWC), House of Representatives - Committee on Social Services, Buhay Party List, Dept. of Transportation and Communication (DOTC), Katipunan ng May Kapansanan sa Pilipinas-National Capital Region (KAMPI-NCR), City of Mandaluyong, Center for Advocacy, Learning and Livelihood (CALL) Foundation, Department of Education (DepEd), Philippines Academy of Rehabilitation Medicine (PARM), NORFIL Foundation, Dept. of Public Works and Highways (DPWH), AKBAYAN Party List, PHILEXIM, Mrs. Mariter Macapagal, Mrs. Perlita So, Mrs. Evelyn Go, Transaxion Unlimited Corporation, Krispy Kreme, Megaworld Corporation and to our media partners, GMA 7 and UNTV.